​Tottenham Hotspur could be set to play their home games in Wembley Stadium for a while longer, with the results of the latest checks potentially delaying the unveiling of their new stadium until April. 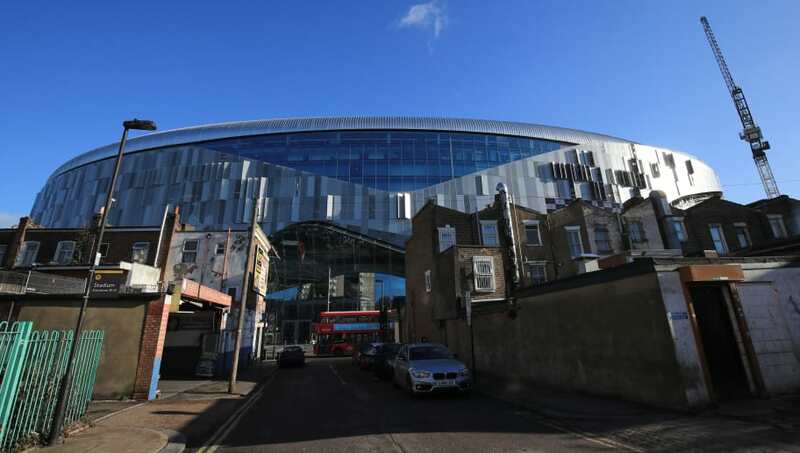 The Premier League club have suffered continuous complications as they look to make the switch from the now-demolished White Hart Lane to their new home, with the opening date pushed back repeatedly throughout the course of the season. According to the ​Evening Standard, the club are awaiting the results of the latest tests regarding the grounds' wiring and critical safety systems, and should the latest checks highlight further problems, more tests would be scheduled for late February, meaning the delay would likely push back the opening of the ground until April. Alternatively though, should the results of the latest tests come back positive, then hopes that ​Spurs could play in their new 62,062-seater stadium next month would be significantly raised. One game that isn't expected to mark the opening of the stadium should the upcoming test results come back positive is the north London derby against Arsenal on March 2, with the Metropolitan Police showing concern regarding opening the stadium on the day of a 'potential volatile fixture'. As well, their fixture against Brighton on April 6 - ​originally pencilled as the stadium's first official game - could also be rearranged, provided Chris Hughton's side get past West Brom and Derby County to reach the semi-finals. Tottenham are currently third in the ​Premier League, just five points off current leaders Liverpool, while the only other competition Maurico Pochettino's side are still in is the Champions League, where they've been handed a difficult last 16 tie against current Bundesliga leaders Borussia Dortmund.